Ulta Beauty is a chain of beauty supply stores. Ulta Beauty is a chain of beauty supply stores that has lots of products to keep you looking and feeling your very best! Their line includes products for both men and women. Their official company name is Ulta Salon, Cosmetics, & Fragrance, Inc, though they trade just as Ulta Beauty and their fans just call them Ulta! You can find makeup, perfumes and fragrances, skincare items, haircare products, and lots more here at Ulta. Do you want to save money next time you shop at Ulta Beauty? Then there are a few things you can do that will take just seconds that will help you save big. First, make sure to add Ulta Beauty to your favorite stores right here on Tiendeo. That way, you'll have all the latest Ulta Beauty coupons all in one place. You can also head on over to their official website, www.ulta.com, where you can sign up for their e-mail newsletter to get access to exclusive discounts and coupons that are only for subscribers. There are lots of ways to start saving today! 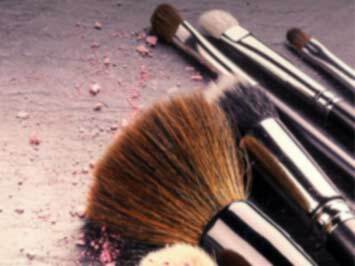 Ulta Beauty was was founded in 1990 by Richard E. George, who had previously been the president of Osco Drug, Inc. In 2013, they began a rapid-paced expansin plan that saw the addition of 125 stores in a single year, with 100 the following year. They aim to have over 1,000 Ulta store locations by 2017. What services can you find at Ulta store locations? Ulta is well known for being a great place to pick up beauty supplies from top makeup brands, like Benefit, Urban Decay, Tarte, and more, as well as regular brands and their own brand. But did you also know that their stores offer lots of different services, too? Every one of hteir stores has a salon, which has between 8 and 10 stations for things like hair cuts and coloring, skin treatments, manicures, facils, and more. Their staff are all professional trained by top labels (like Redken for their hair stylists, Demalogica for their skin therapists, and OPI for their manicurists). Most stores also have a Benefit Brow Bar, where you can get your eyebrows arched, tinted, waxed, and plucked to perfection! Their experts will pick the best shape to flatter your face and your style. They also offer eyelash application. Do you want to receive more deals from Ulta Beauty by email?